This topic contains 23 replies, has 5 voices, and was last updated by noClue Jan 31-2:21 am. Thanks, anti , not only for years of gracious work, but a great sense of humor as well! This reply was modified 2 months, 2 weeks ago by anticapitalista. we have no opportunity to specify a custom icon here. On devuan system, are the icons “missing” regardless which locale is selected? Try copying the theme+icon files from the known-good working system into the misbehaving system, then retest. One thing first: I know and understand a lot about design, UI/UX and about general Linux usage but, I am not Linux expert programmer being able to debug the broken programs. I’ve no idea on how to check if “the icons (are) “missing” regardless which locale is selected” on Devuan system. Any easy suggestion? 1. Icons used should be fine. I did reverse test. I took a ‘virgin’ antiX 17.3.1 and did the (see the 1st screenshot: prepare_test_antiX.17.3.1.png) test. 1. Without any icons or themes folders or sub folders in my home directory. 2. Without the main icons folder (which got basically reduced to ‘highcolor’ and a couple of antiX Control Center and Shutdown icons). 3. 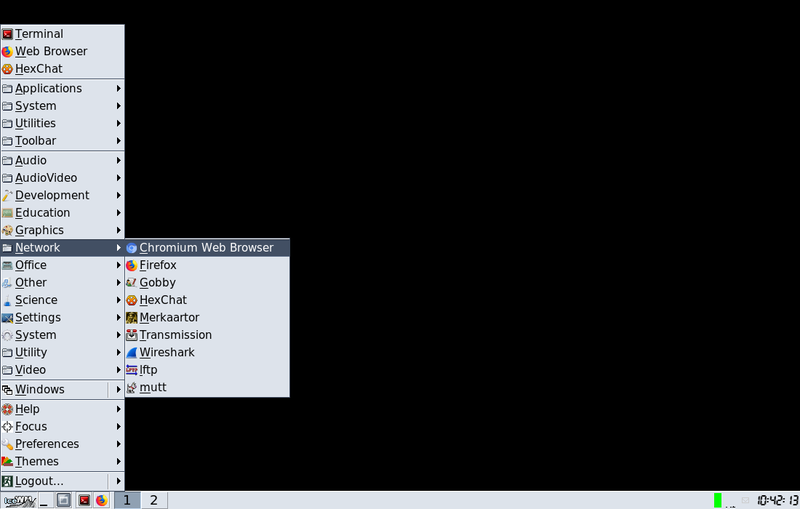 Without the icons or themes in /usr/share/icewm folder (with the exception of ‘Clearview’). What’s left is: the icons in Rox folder, Volume icons in their corresponding folder and one or the other icon ‘hidden’ in there own folders. With other words, no any usable icons are left. There are a couple in /usr/local/share which can be ignored for that matter. As you can see it on the 1st screenshot, that part worked well and there are no more icons shown in the start menu. 2. I copied the icon set that I’m using in Devuan to the ‘broken virgin’ antiX 17.3.1 (as seen on the 2nd screenshot: execute_test_antiX.17.3.1.png). I copied the new icon set to /usr/share/icewm/icons and fixed the permissions (from some reason 644 doesn’t work, only 755). It worked like a charm and ‘my nightmare icons’ showed up as and how was expected. The icons used are fine. 3. I copied the ‘known good’ icons back in to Devuans /usr/share/icewm/icons and fixed the permissions again. Everything works fine except those 8 ‘cursed’ icons. As you can see on the 3rd and 4th screenshot. On that 3rd screenshot (check-devuan-icewm-icons-1.png), one can also see the 2nd ‘proof’ that icons themselves are fine: ‘strange’ Debian menu (Utilities) is fully populated. If I search for ‘glibc’ in Synaptic, I don’t get anything shown as installed. Only glibc-doc, glibc-source, libdb1-compat and gftp-text are shown. The last two being DB compatibility files and ftp client. glibc documentation and sources are not relevant. 6. 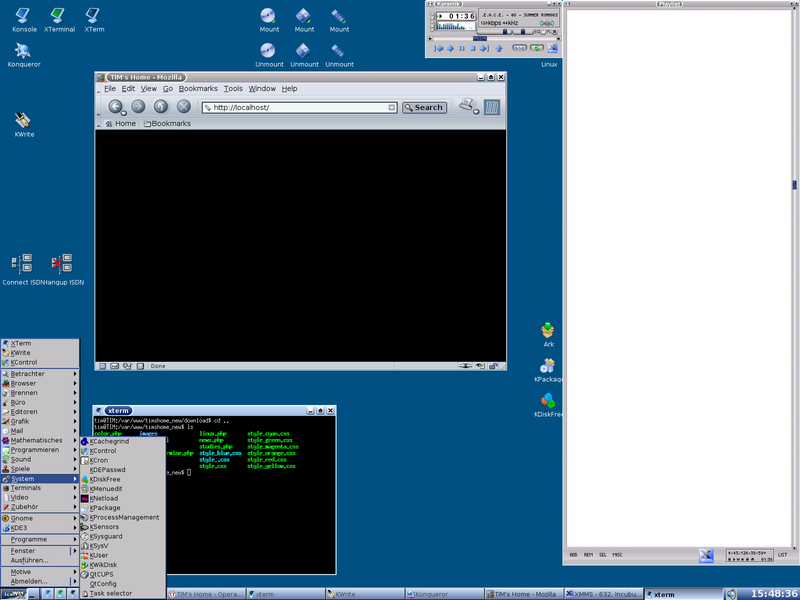 The interesting question would now be: why the IceWM in antiX shows the icons andthe IceWM in Devuan not? Maybe the whole thing is just somewhere some ‘catch’ in the preferences file but, there’s a lot of text (options which one needs to understand) in there. If it can help, and since ‘I’m just toyin’ around’ for learning and better understanding, I could provide you my vBox VM, so you’d have ‘my problem’ 1:1 in your hands. Did you notice that some links are were marked with ‘*’? Could you please provide me a direct download link(~s) to those .DEBs? Just to see what gives. They should work for Devuan. If they give some icons ?.. P.S. If you have some other, NEWER versions, please give me those links too. The problem was icewm / icewm-common 1.3.8+mod+20161220-1. 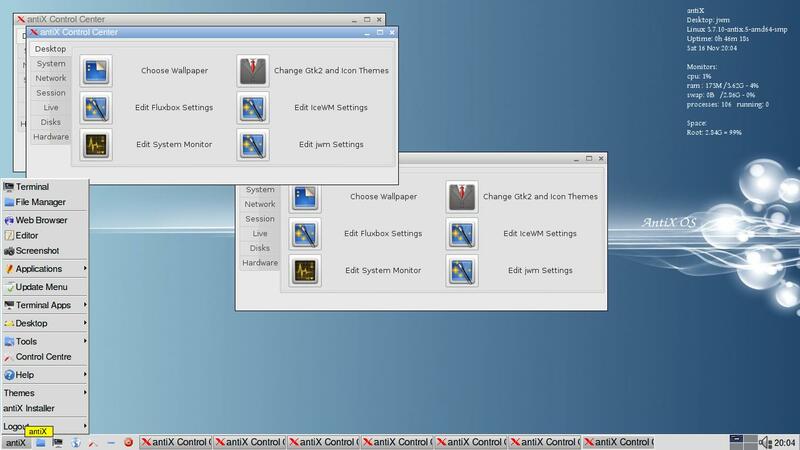 Screenshots 1 and 2 shows you how the Start Menu icons (and different menu structure) look like with Ice WM 1.3.8. 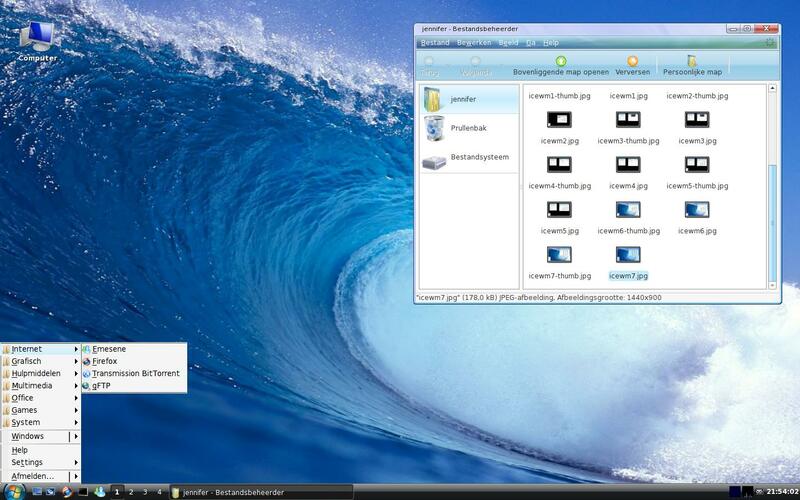 Screenshot 3 shows you how the Start Menu icons look like with Ice WM 1.4.2 (from the antiX repository). Please have a look at pnmixer volume icon. P.S. It doesn’t let me edit the title any more so, maybe one of the moderators could mark it as solved.